Like a river that endlessly ebbs and flows, brewing never stands still. So while American craft brewers have long been inspired by the British, we felt it was time to take our cue from them. Wild River is the result. It’s brewed with Liberty, Willamette, Cascade and Chinook hops, all imported from the US and infused into the beer through dry-hopping. A pale gold beer, Wild River delivers a tempting citrus aroma that picks out grapefruit, orange peel and lemons. 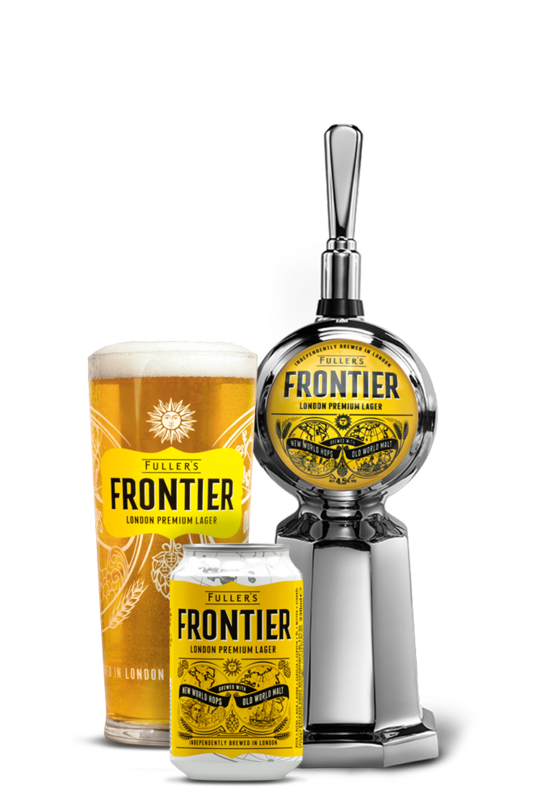 The flavour follows the nose, with a swirling current of spicy, zesty grapefruit notes set against a backdrop of pale malts – while pleasant hop bitterness lingers long on the palate in an intense finish. An American-style beer might seem a real departure from the Fuller’s norm, but a glance at our Brew Book shows our ancestors were one step ahead, importing hops from Oregon, and barley from California, way back in 1891. Burger: Wild River's bitterness and carbonation will cut through a burgers' richness and cleanse the palate. There's a subtle sweetness to the beer that will complement and enhance the natural toffee flavours of the meat and its dry, fruity finish will pair well with the juiciness of the burger.